Picture yourself as the end user. You would already be flooded with marketing emails that are centered around the Christmas season or the New Year. Research and find out about relevant but lesser-known holidays towards the year-end. All you need to do is add some creativity to make the most of the holiday season. You can also plan a donation drive prior to Christmas or offer a percentage of your sales to a reputed NGO. This holds a lot of value in your marketing message and also displays a socially-conscious side of your company. So you have an awesome content strategy with a design for your marketing newsletter. But, have you gone a step ahead to plan what you need to do next? Don’t wait for the holiday season. Once you know how many users have shown interest in your emails, have a follow-up plan ready to close the deal. You must not let the sparkling wine and fine dining around the holiday season affect your marketing campaign! Simply put – don’t be enthusiastic and send an overdose of marketing emails to users. It’s easy to whip up some recycled ideas and bombard users with holiday emails. What makes it tough is to stare at the growing unsubscribe list that shows one thing – users did not really like your flavor for the holiday season. Creative subject lines around the holiday season are kind of commonplace. Really! You may find a subject line such as, “Look what Santa has in Store” very connected with the season, but, it’s an overdose. No ‘Ho, ho, ho’s’ please! This also should be maintained for the design of the newsletter which may have an overdose of the Christmas/New Year season. The only place where such emails go unfortunately is the trash bin. Try to find a fresh perspective to deliver a powerful marketing message. 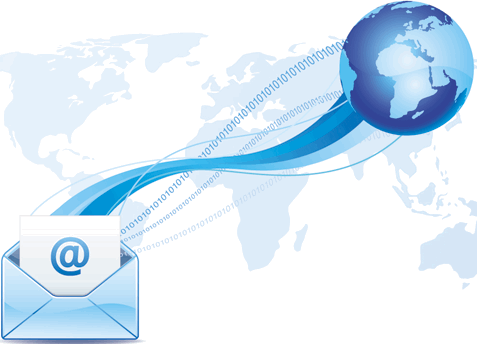 Email marketing is great to promote your product. But, instead of using it as the only medium, combine your strategies with various forms of direct marketing. This can include formats such as using the good ol’ postal system or sending a direct email that is designed to suit the user’s preference. Previous articleIs Email Marketing working for you?